It’s not just the matt black leather that makes this leather cut stand out. 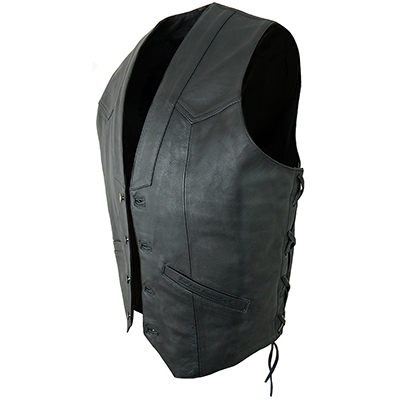 There are no press studs here, this waistcoat has quality button fastening. The ties are adjustable and made in the same matt black cowhide as the rest of the waistcoat and it is lined in comfortable black cotton. 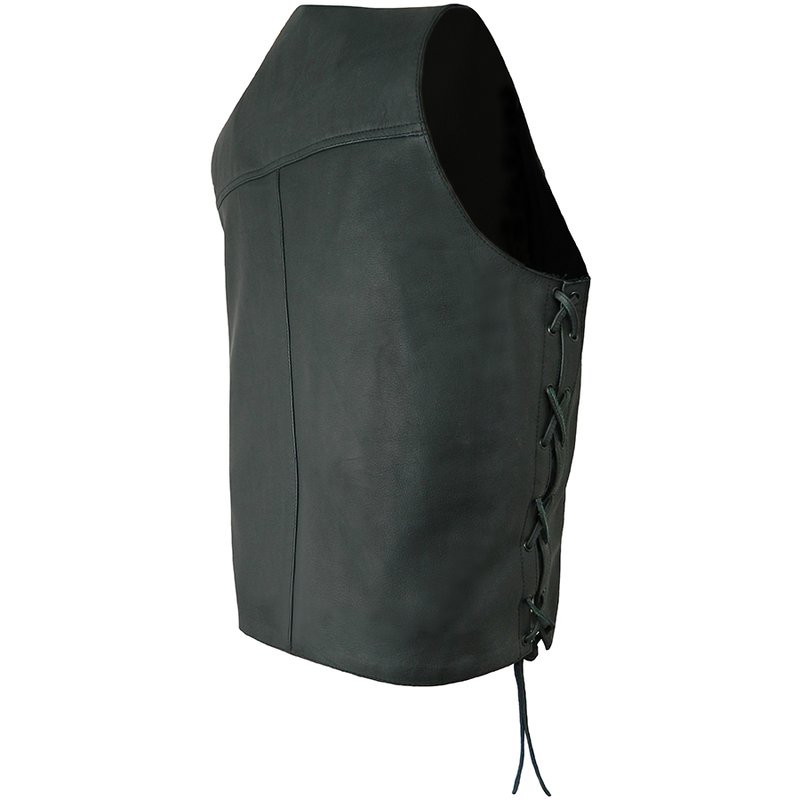 For your practical needs, there are two external pockets and one internal pocket.